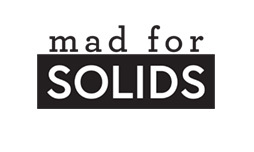 Welcome to the sixth day of voting in our Mad for Solids Bracket! Voting is open from 6 pm CDT Friday, March 23rd through 5:59 pm CDT Saturday, March 20th. Congratulations to our Game 4 winner! Dance in the Glasshouse, a bundle of my favorite colors! Northern Lights - love it! I vote for Dance in the Glasshouse, I love Chihuly Garden and Glass! Northern Lights! Like the night sky in Finland! Love those Northern Lights fabrics. Northern Lights is my vote; gives a calm feeling. I am intrigued by the other collection also and would love to see it constructed into a design.